One company with a lithium boron play in the heart of Nevada – just 340km from Tesla – has big ambitions. So big in fact that the company is on a quest to produce 10% of the world’s lithium supply. This goal may be made easier as Global Geoscience (ASX: GSC) has one of the largest lithium-boron deposits in the US. 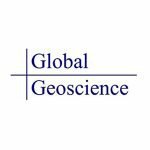 GSC has just completed its initial drilling at its Rhyolite Ridge lithium-boron play and would be buoyed by results, which demonstrate the potential for simple and low-cost processing to produce lithium carbonate and boric acid. The company is positioning itself as a low cost, easy to process, high margin project, which is potentially funded through to the completion of an imminent PFS in the September 2017 quarter. With a JORC resource on its hands, GSC looks to be in a very good position to meet future lithium demand. This freshly cashed up, $122 million capped company is not only near Tesla, importantly it is just $25km from Albermarle’s Silver Peak lithium brine mine, the only lithium mine in the US and one which has produced lithium continuously since 1996. GSC is hoping for similar success. With a maiden JORC Resource in hand, first round drilling complete, strong results, ideal location, and honing in on a uniquely inexpensive means of production, GSC is confident its two-pronged commodity play can one day help it join the ranks of the top four lithium producers in the world. There’s currently only one lithium mine in production in the US… leaving a pretty wide open market for a company that can compete on asking price. Which is exactly what Global Geoscience (ASX: GSC) plan to do via its Rhyolite Ridge lithium-boron play – one of the largest lithium-boron deposits in the US and just 340km (of paved road) from Tesla’s gigafactory. With worldwide demand for lithium showing no signs of slowing, a cost-effective and abundant supply to a growing market could set up a small cap mining play for many years to come. The state of Nevada, USA presents fertile ground for lithium and today’s ASX listed company is hoping to share in the spoils, with its advanced lithium JORC resource and an added boron kicker.